This four year program builds upon the Ayurvedic Practitioner training, offering students a more in depth look at both pathology and indicated treatment. 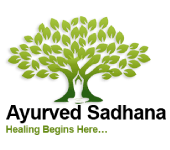 Students will be given the opportunity to define a focus of their educational experience at Ayurved Sadhana, to better support the populations they are passionate about serving, and/or to enhance their skills as a general practitioner in the community. This program offers an extensive supervised externship where students will refine their skill-sets and be prepared to practice with confidence upon graduation.